The term neoliberalism is most commonly used to refer to the free market-oriented reforms enacted by right-wing governments in the UK and US throughout the 1980s and 1990s, and continued by ‘Third Way’ politicians such as Tony Blair in the UK and Gerhard Schroeder in Germany into the 2000s and beyond. Recently, mainly as a consequence of ‘Brexit’ — Britain’s rejection of EU membership in a 2016 referendum — and the victory of avowed economic nationalist Donald Trump in the recent US presidential election, there has been talk of the end of the neoliberal era. But we have been here before. The ﬁnancial crisis that began a decade ago was heralded as the death knell of neoliberalism, and while it would be a mistake to say neoliberalism thrived in the years that followed as it had done under the stewardship of Thatcher and Reagan, the project nevertheless stumbled on in ‘zombie’ form, with governments tending to respond to the ﬁnancial crisis with successive rounds of austerity measures rather than with anything constituting a genuine rejection of neoliberalism. Through a careful analysis of the most common conceptualisations of the neoliberal project as an ideology, a mode of regulation, and a market-oriented ‘governmentality’, my recently published research uncovers a number of problems with existing accounts of neoliberalism, and helps to shed light on the reasons for the remarkable durability of the neoliberal project. The key problems the research uncovers relate to the tendency of commentators to conflate neoliberal policies with the strategies political elites have used to legitimise neoliberalism, the prevalence of overly-simplistic periodisations of neoliberalism, and the failure to grasp the highly interventionist nature of many aspects of neoliberalism, not least in areas such as public service reform and welfare. Key to understanding the continued dominance of neoliberal approaches to public policy throughout the Western world is differentiating between neoliberalism proper, as a way of thinking about government, and the various legitimation strategies that have been used as a basis for securing the project’s popular support. In doing so, commentators will avoid making the mistake of associating every new legitimisation strategy with the end of the neoliberal project itself. In the case of Trump and Brexit, the key question is whether the former’s economic nationalist rhetoric and the constitutional implications of the latter are reﬂected in deeper underlying changes in the way that political elites think about the task of governing. Neoliberalism is a way of thinking about government that seeks to remodel society according to market principles, with a key role for the state in terms of fostering the moral and cultural values, and the legal framework, appropriate to such a market order. Once this way of thinking about government is supplanted by some other, we will have left the neoliberal era behind, but only then. 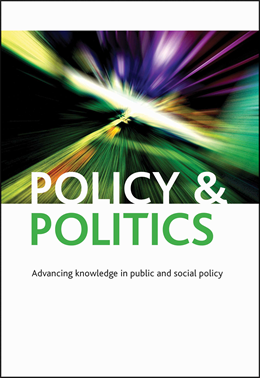 Christopher Byrne is a Lecturer in Politics at the University of Exeter and author of ‘Neoliberalism as an object of political analysis: an ideology, a mode of regulation or a governmentality?’ published in Policy & Politics (2016). He can be reached by email at c.byrne2@exeter.ac.uk. If you enjoyed this blog post you may also like to read Making the case for the welfare state by Peter Taylor-Gooby.